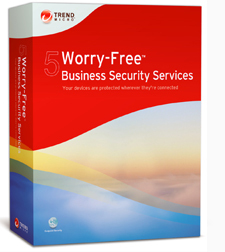 Trend Micro's product sure lives up to it's name, Worry-Free. We installed Worry-Free Business Security Advance for a local Houston manufacturer. Our customer has a challenging environment of over fifty client computers spread out over three buildings that are connected via rather slow T1 lines. To overcome the challenge of slow T1 lines, PGC setup Worry-Free servers at each location to service the client computers at those locations. This eliminated the network congestion the customer was experiencing with their older product. The reduction in network traffic over the T1 connections has greatly improved the network speeds for there other network applications such as Citrix, file, and print sharing. It has also resulted in quicker and timelier updates of virus signatures for each client computer on the network. Give us a call at 713-568-5353 and let us schedule an appointment to discuss your internet security needs.